By far the greatest benefit is getting a loan amount which can be based on the future or “As-Completed” value of the home. That’s right; you can get equity credit for a home that doesn’t yet exist. 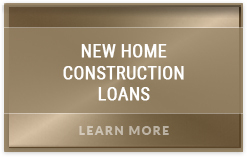 In many cases this means you can finance 100% of the construction cost and need little or no money out of pocket. 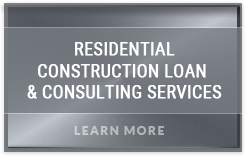 Your new loan may also cover many of the costs you paid before construction begins; soft costs, such as architectural and engineering services or building permits. The Single Close Home Loan has gained wider exposure and is often the best way to ensure the greatest interest savings over the life of owning your home. Many homeowners are unaware of all options and wrongly rely on a home-equity loan, either as a long-term 2nd mortgages or to be replaced with a higher new 1st mortgage when the home is complete. These may be workable options when rates are falling and home values rising, but many of America’s largest banks and financial institutions have slashed the amount they lend as home values have fallen and interests become less stable. In fact, loans based on the Prime Rate index, have seen lows of 3.25% and highs of 19.5% over the past 20 years. Simply, the Single Close loan eliminates this risk and often means interest savings totaling tens of thousands of dollars. One of the most attractive features of the Single Close is the ability to lock-in a low interest rate before construction begins and have no change in rate once the home is complete. This advantage can NOT be overstated. Fixing your rate for the long term can translate into a mountain of interest savings, both during construction and over the life of your loan. In today’s turbulent economy most are unwilling to risk waiting until their home is complete before locking in a permanent loan. To be sure, no major lender will refinance your home while under construction; hard money at rates between 12-14%, a 4-10 points may be the only option. The Single Close is a smart way to remove the stress of scrambling to refinance after your home is complete, when rates may be much higher. Alarmingly, too many homeowners are willing to bet most of their life’s savings and a good portion of the family’s future earnings on a builder they know far too little about. References provided by a builder or the good word of a neighbor are never enough on which to jeopardize your family’s future. A significant advantage to using a construction loan, which can be of extreme, yet unforeseen value should the worst case materialize, is the lender’s review and acceptance of your preferred builder. The lender’s aim is simple; weed out risky candidates so as to maximize the likelihood your home will be completed on time, within budget and allow loan repayment as agreed. Most construction lenders use a well-honed system of gathering and reviewing independent, third-party documentation of the builder’s construction experience, background, credit history, trade references, business licenses and the proper insurance. No homeowner who goes it alone has access to the all the research and screening tools, investigative experience or staffing to properly conduct a complete builder review. Homeowners must be sure the entire cost of construction is covered in the contractor’s signed budget. Patrick Cunningham of C & C Partners in Los Angeles, California, one of Southern California’s premier Design / Build firms confirms that a great way to ensure the financial viability of your project and choose between competing builders is by laying their respective budgets down side-by-side to identify which components may have been omitted or offer too little detail to be properly analyzed. 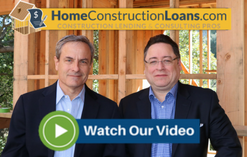 The final point to be made here is that home construction is a complex process and you are well –served taking advantage of the decades of experience a good construction lender can provide. 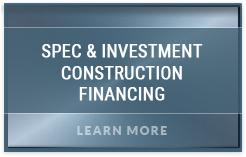 Fund Control involves an established set of checks and balances, draw request procedures, site inspections and continual budgetary reviews designed to greatly reduce the opportunity for the misuse of construction funds and the possibility of property title liens by subcontractors or material suppliers for non-payment. It may seem odd to submit periodic requests for funds you’ve borrowed. However, for your protection and that of the lender the builder must demonstrate that the funds being requested are for work completed or materials received. The draw process works to ensure the builder is using your funds on your project, not paying for materials or labor on some other project or diverting them for personal use. While builders typically request funds every 3-4 weeks, the draw process must be flexible to accommodate a pace of construction that often moves in spurts where activity may be heavy some weeks and a little slower others. A good fund control group is prepared to adjust to the needs of each individual project and see that the flow of funding keeps pace. 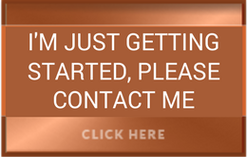 Written by Ty D. Kirkpatrick, an author and expert on Home Construction and financing it for over 25 years.